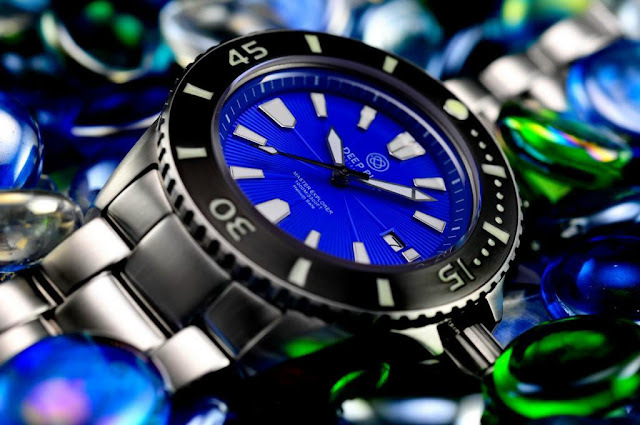 You’ll be spoilt for colour choice with the new Master Explorer diver from Deep Blue. Unlike other watches from Deep Blue, the Master Explorer does not feature tritium illumination. 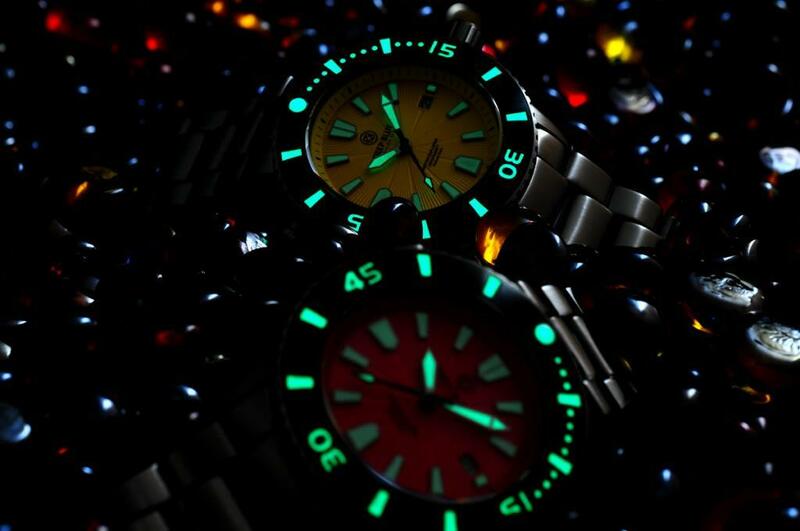 They have opted instead for a Super-LumiNova treatment on the indices, hands and bezel. With its powerful lume, the Master Explorer is a chunky 46 x 17 mm with a stainless steel case fitted with a sapphire crystal and a helium escape valve. 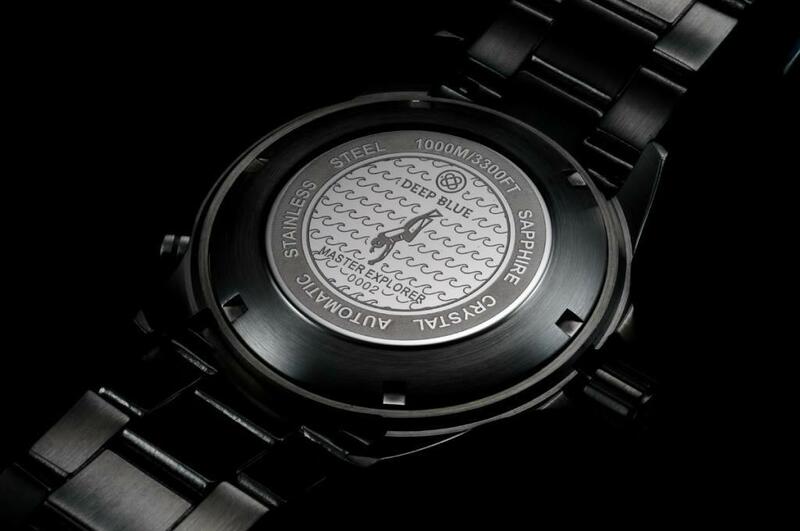 The watch is water resistant to 1000m. The Deep Blue Explorer also comes with a Divers Wetsuit Extension with a push button deploy and safety clasp. Colour choice includes blue, yellow, orange, red, or black dial. 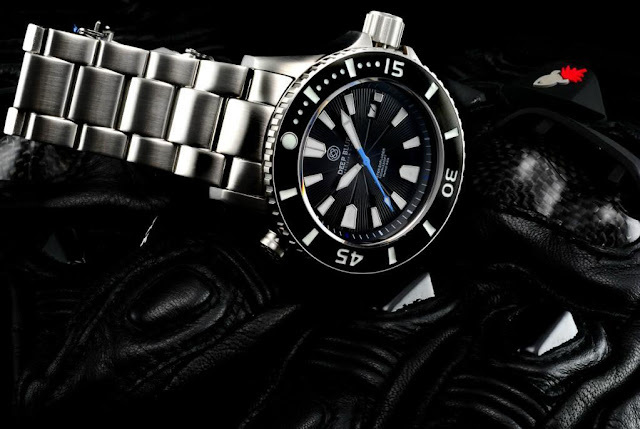 Deep Blue state that their mission is to provide watches that offer dependability, reliability and outstanding value, and with the good looks and terrific value of the Master Explorer, it looks like they are true to their word. The watch runs on a reliable Miyota 9015 automatic movement with hacking and hand-winding. The Master Explorer is available directly from ShopNBC website and is retailing at a great value $279.